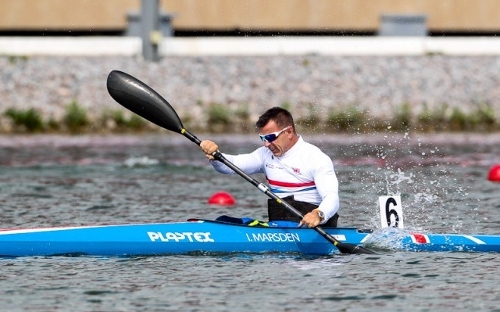 TORQ-fuelled Ian Marsden has just competed in the International Canoe Federations, Para Canoe Sprint World Championships, in Moscow Russia, where he took a very impressive silver medal in the K1 (A) M 200m. Ian gave us this report. The race was great! I’ve since reviewed the race footage & had it confirmed to me that I had a very good start out of the buckets, and was in the mix from the go. The Hungarian, who won, was the athlete that I beat at the European Championships 3 weeks ago (See Ian’s race report from that event here) and that was my closest race at International level. Again it came down to the finish line. I was happy to hit a new personal best with 49 seconds, as thats exactly what you need to do for a World’s final! I’m one of only 2 athletes in my class to go sub 50, along with the Hungarian athlete, so I’m clearly heading in the right direction for Rio 2016 Paralympic Games. It was my aim for this event to beat Fernando from Brazil, who is a 4 time World Champion. I passed Fernando after 100m and by the end of the race he was 4 seconds down and came in 5th! 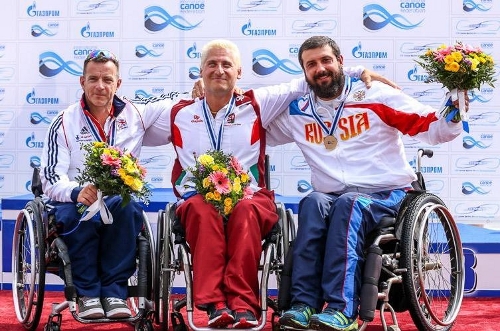 Everyone in the World has clearly stepped up their performance with the qualification for the Rio 2016 Paralympic games starting next year. I had my TORQ drink before and during the race. The TORQ Gels were essential, as I was unable to eat before my race as I was on at 12:00 and had to have my breakfast 4 hours before, so the gels gave me the energy needed to do my best in the final. Moscow was amazing & Red Square Incredible. The organization at the event was also the best I have seen. 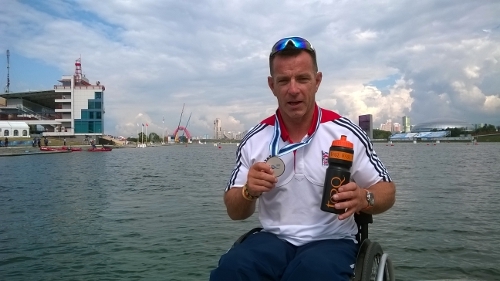 TORQ would like to give a huge congratulations to Ian on his silver medal. We look forward to following his progress over the rest of the season.